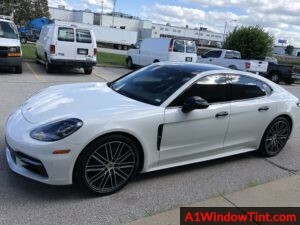 There are many rules and restrictions regarding vehicle window tinting in the state of Missouri. Make sure to review these restrictions before you get your windows tinted to avoid traffic stops and expensive tickets, also to ensure everyone’s safety on the road. When tinting car windows, you need to know the reflective percentage limits. There are different darkness restrictions depending which windows you are wanting to tint. Make sure to stay updated on all your state’s laws regarding the tint you have on your vehicle. If the request of the removal of illegal tint is ignored, tickets will be given that will be worth hundreds of dollars. It is very important to stay updated on the state laws regarding the restrictions of window tint to avoid pricey tickets.